Whether you are planning a vow renewal for your 5th, 25th, or 50th wedding anniversary, it is a once-in-a-lifetime opportunity to say “I Do” all over again. In addition to being a chance to recommit your lives to one another, a vow renewal is also a unique occasion to plan the wedding you may not have been able to have the first time around. This could mean wearing the hot pink dress with sequins that your mother vetoed last time, splurging for the incredible jazz band you couldn’t afford when you were younger, or inviting friends that you may not have known at the time of your original wedding. However you choose to celebrate your vow renewal, here are five ideas to make it everything you want it to be — and more. One thing we love about vow renewal celebrations is that they give couples an opportunity to include their children (or even pets!) in the ceremony. For couples with young children, we love the idea of having the entire family walk down the aisle together, for an extra meaningful ceremony. Meanwhile, for couples with older children, a great way to get them involved is to have them officiate the ceremony or make speeches. Have a beloved pet you want to involve? We love the idea of a doggie ring bearer. Another beautiful thing about vow renewals is that they give you a moment to share the important parts of your love story that unfolded after you said: “I Do.” These can include some pretty amazing moments such as buying your first home, the birth of children, and epic family vacations! Some fun ideas for sharing some of the highlights of your marriage with guests include making a personalized aisle runner, putting together a scrapbook for guests to flip through during the reception, or creating a photo display of key moments from your many years of wedded bliss. Renewing your vows means you don’t have to stick to the same rules you did the first time around. Did you dream of a destination wedding, but dropped the idea because of family obligations or budget concerns? Well now is your big chance to walk down the aisle in paradise with a destination vow renewal. 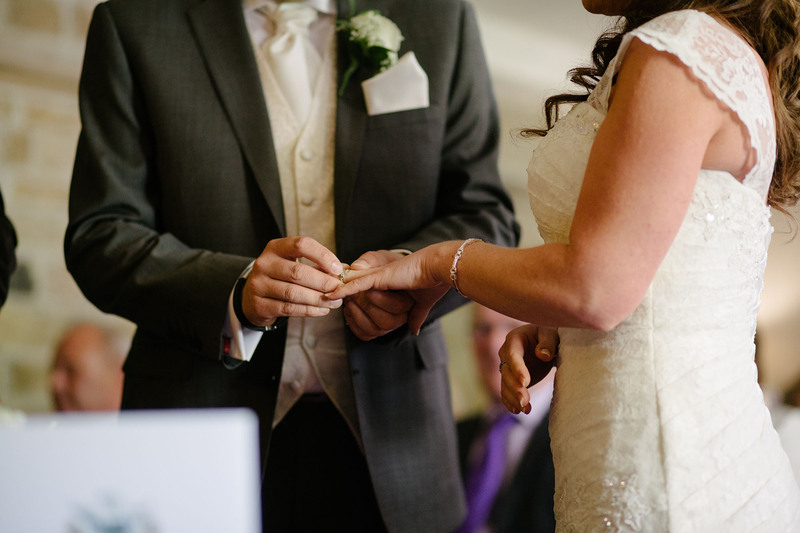 If you had a traditional wedding ceremony previously, why not write your own totally original vows for your renewal? Writing your own vows will make your ceremony extra special and give you a chance to reflect on what your years of marriage have meant to you. And after so many shared experiences over the years, we are guessing you have a few epic stories to incorporate. If you planned your first wedding on a tight budget and weren’t able to splurge on a breathtaking send-off, now is your chance! We love the idea of planning the extravagant wedding exit you may have missed out on during your first wedding. This could mean coordinating an over-the-top firework show, having guests release magical lanterns into the night sky, or riding into the sunset in a horse-drawn carriage. If you are lucky enough to say “I Do” a second time, we say go big or go home! This is your chance to celebrate your love exactly how you want to and to make up for things you may have missed out on during your first wedding ceremony. Now, what are you waiting for? It’s time to plan the vow renewal of your dreams! Any bride would be lucky to shimmy into one of these beauties and walk the aisle. Fortunately, Justin Alexander creates gorgeous silhouettes and beautiful designs built for more sophisticated brides. Let’s have a peek, shall we?